The ability of our Linked Data Platform to integrate digital information from diverse sources efficiently and flexibly makes it ideal for the collaborative projects that Ethos undertakes where different types of data need to be pooled. Ethos already uses Seme4’s Linked Data Platform for SkillsPlanner, which brings together multiple businesses and organisations to tackle the skills shortage in London’s construction industry, and for Future Cities programmes such as EthosMatcher, which collates offers from local high street stores and sends them to consumers via a mobile app. Ethos and Seme4 will now go to market together, seeking opportunities both for Seme4’s platform in industry and also for Seme4 to provide the core functionality for Ethos projects. 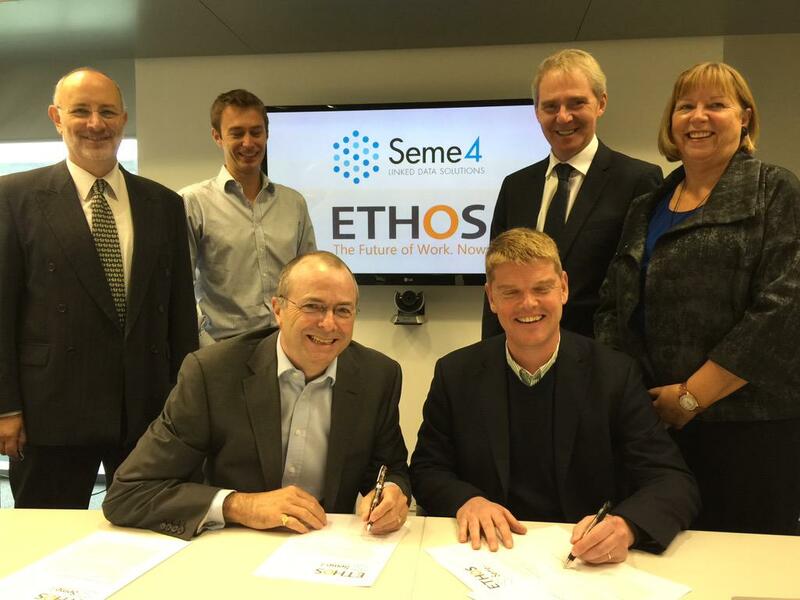 Ethos becomes an equal Seme4 shareholder and Ethos co-founder Rob Pye assumes the role of Sales and Marketing Director on the Seme4 board. “We have spent a long time looking for the right partner that understands Linked Data, it’s power and flexibility, and who would be excited to take the platform to market. To have developed this relationship with Ethos creates the momentum we’ve been looking for”, says Seme4 CEO, Tim Organ.